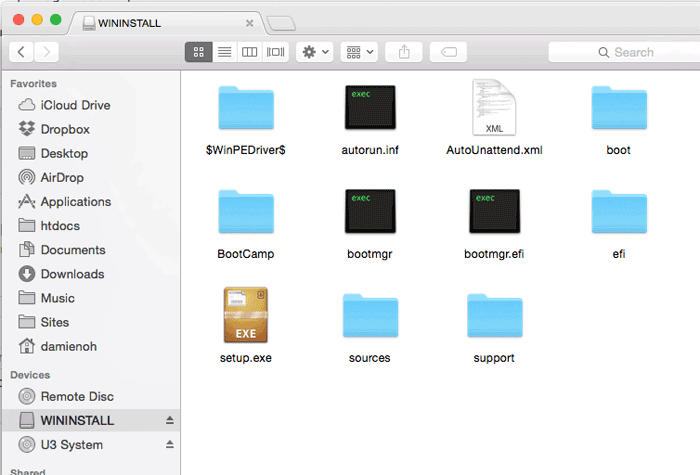 We have recently shown you how to create a Windows 10 USB installer, but for those Mac users, that method won’t work since you can’t install the Windows executable file on your Mac. 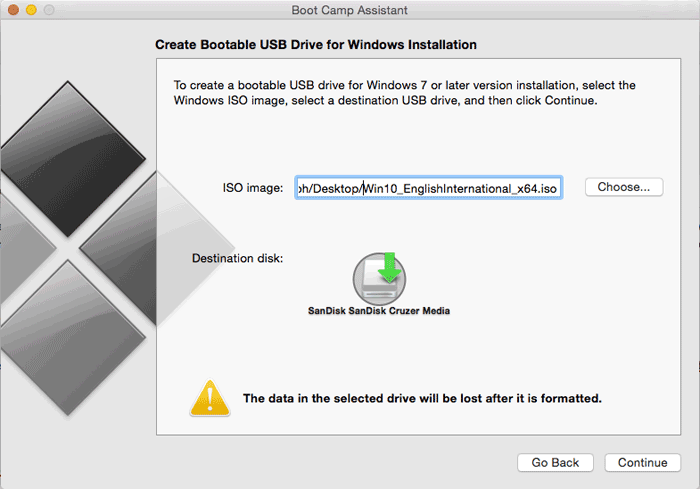 You can easily download the ISO file from the Microsoft website, but how can you create a USB installer in Mac? Here is how you can. 1. To download the Windows 10 ISO file, you just have to visit this Microsoft site on your Mac. Select “Windows 10” from the drop-down menu, and then select the language. Lastly, select the “64-bit download” link to download the 64-bit ISO file. The following instructions require you to have a USB drive of minimum 8GB. All the data in the USB drive will be wiped. 3. On the next screen, make sure the checkboxes beside “Create a Windows 7 or later version install disk” and “Download the latest Windows support software from Apple” are checked. Leave the last checkbox (install or remove Windows 7 or later version) unchecked. 4. 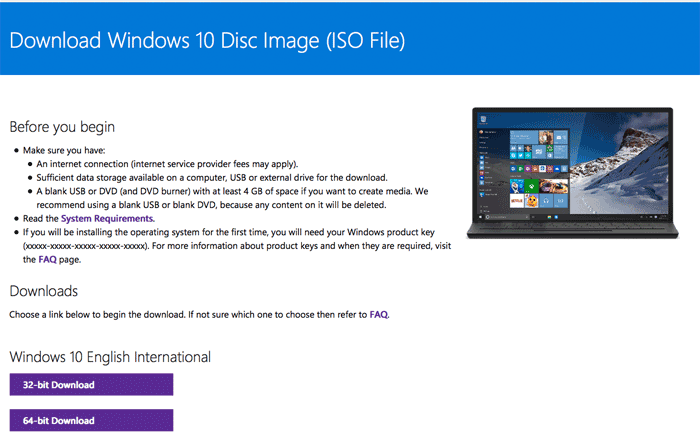 Select the Windows 10 ISO file that you have previously downloaded and set the Destination disk to your USB drive. 5. A prompt will appear to inform you that the drive will be erased. Click “Continue” to proceed. 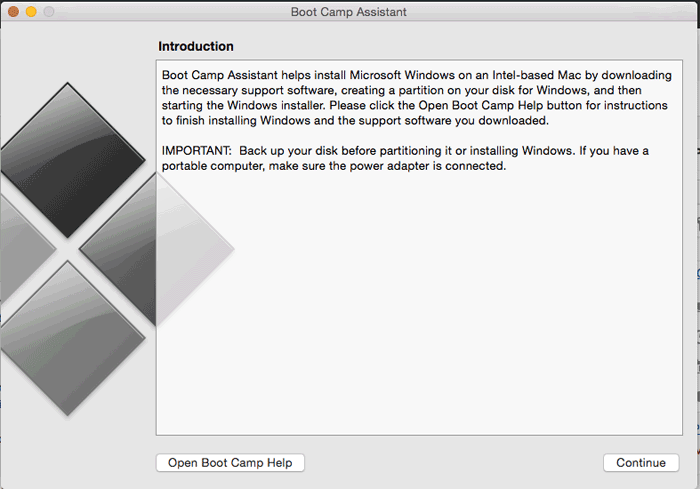 Bootcamp will then proceed to create the USB installer. Once the installation is done, you will find a newly-mounted USB drive named WININSTALL in your Finder. You can now use it to install Windows 10 on any PC. Note: if you have not upgraded to BootCamp 6, you might face the issue that “saving windows support software” is stuck and not moving. 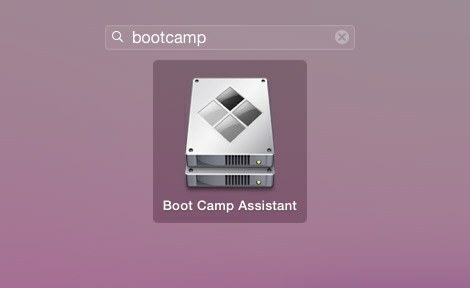 In this case, you can stop Bootcamp and follow the instruction here to fix the support software issue. If you are having an issue with BootCamp, you can try this method with the terminal. Replace ~/path/to/windows-10-iso with the actual file path of the ISO file. This command will convert the ISO file to IMG format. Note: OS X tends to add a .dmg to the end of the IMG file. You can simply rename the file and remove the .dmg. 3. Unmount the USB drive. Replace /dev/diskX with the location of your USB drive. Replace /path/to/windows-10-iso with the actual filepath of the ISO file and /dev/diskX with the location of the USB drive. This will take some time. 5. Lastly, eject the USB drive. Once that is done, you will have a USB installer that you can use to install Windows 10. Why do we convert the ISO to IMG but then later only copy the ISO to usb driver ? what the reason to convert the ISO to IMG ? The latter command should be using the .img file, not .iso file. My mistake there. The bit about deleting the.dmg extension is technically wrong. Mac OS X disk image format is .dmg and hdiutil correctly adds a .dmg extension to the end of the file because it creates a .dmg file. Please help. This entire installation process for a late 2013 MBA has been nothing but a nightmare, and this is coming from someone who has installed windows xp, vista and 7 on three separate macs with ZERO issues before. Every step has caused me grief and took days to resolve. 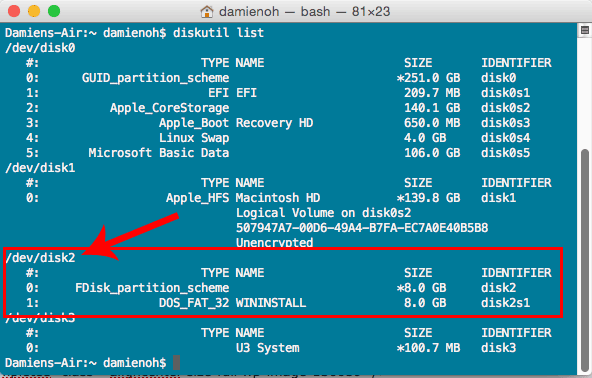 I finally got windows 10 installed after a much painstaking exercise, but because I got greedy, I partitioned the mac volume to give me a common ExFAT drive that both boots can access. This completely stuffed up my windows. 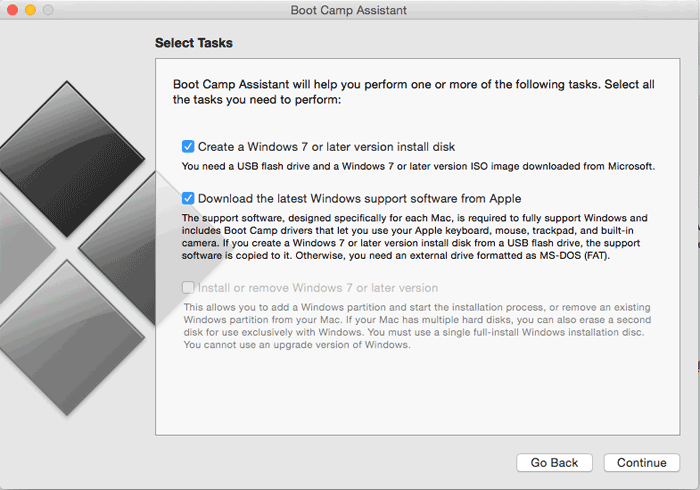 After finally managing to recover the bootcamp volume so that it is at least something the mac recognises as a bootable volume, I can’t start windows. The solution was to go back into the installer and “repair” the windows partition, which is why I’m here. Bootcamp assistant has been giving me the shits when trying to create a USB. On a freshly downloaded ISO of the install DVD, it absolutely refuses to create the USB for me. Even if I ensure that the image wasn’t mounted. It just refuses to cooperate. I’ve followed your terminal method and it has basically given me the ISO copied into the USB drive. At least I hope that’s what I”m supposed to get. Now when I reboot, it doesn’t seem to recognise the USB as a bootable. This is yet another stump on many many stumps throughout this rough journey. When will it ever end?! Does the Hacking of Ashley Madison Make You Less Likely to Share Intimate Information Online?